BURTON, Sir Richard Francis. Memorial Edition of the Works of Captain Sir Richard F. Burton. London: Tylston and Edwards , 1893-1894]. 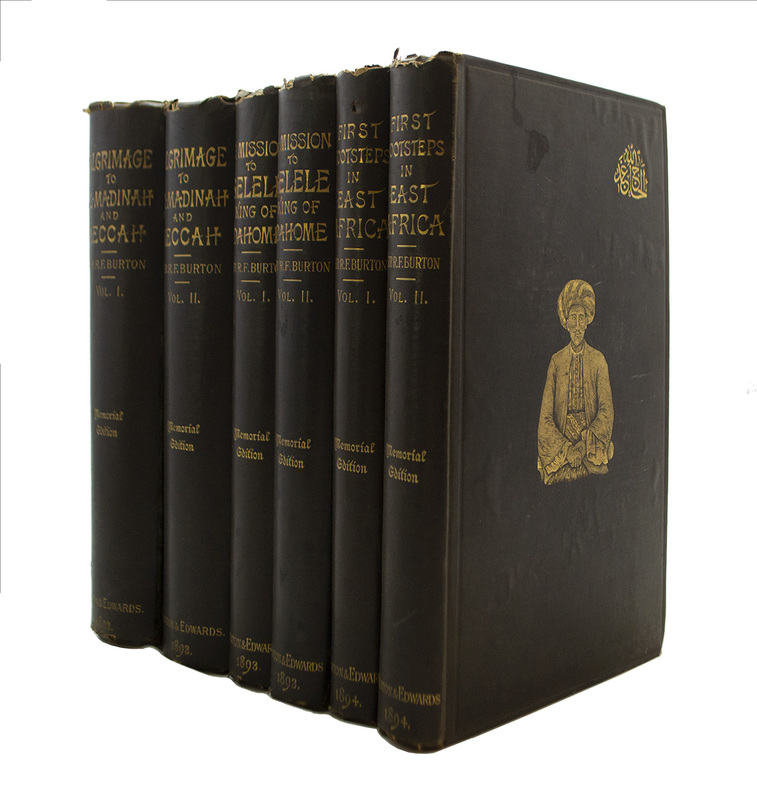 Together six of seven octavo volumes. With numerous maps (one folding) illustrations, several in color. This set is lacking volume V.
Original black cloth, front covers pictorially stamped in gilt, spines decoratively lettered in gilt, top edges stained red. Black coated endpapers. Some wear and chipping to extremities. A very good set. 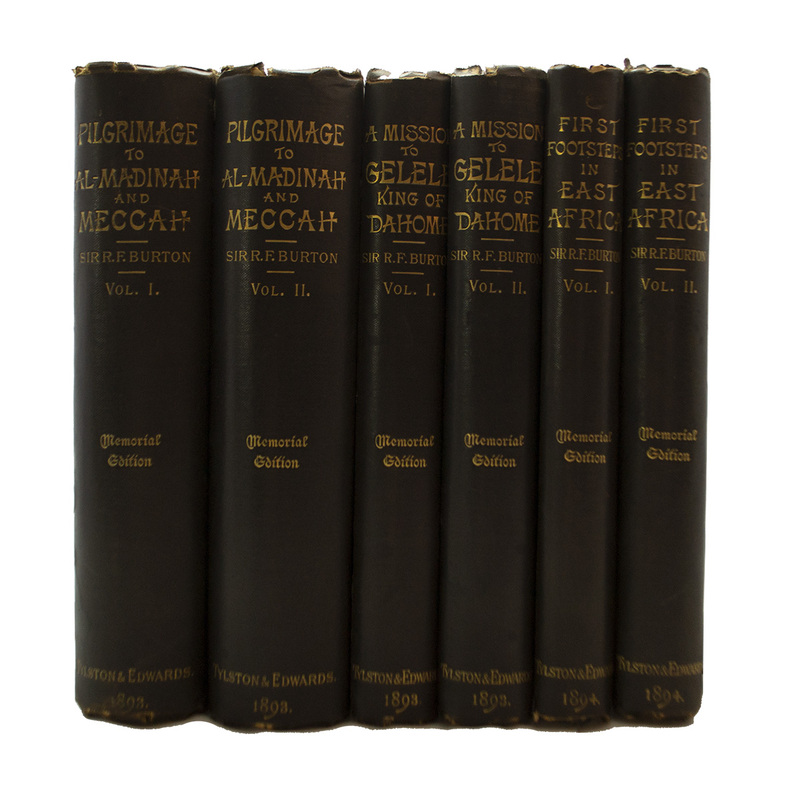 This "Memorial Edition" comprises the following titles: Personal Narrative of a Pilgrimage to Al-Madinah & Meccah (two volumes); A Mission to Gelele, King of Dahome (two volumes); First Footsteps in East Africa or, an Exploration of Harar (two volumes). This set is lacking volume V. Vikram and the Vampire or Tales of Hindu Devilry.